Solving existential crisis. Do I not belong to my Culture? How does one establish his/her affinity towards their culture? Actually, let’s start with a simpler question. How do you prove which culture you belong to? A very theoretical argument would say that your culture is determined by the family you are born in, the place you are born and the language you speak. So basically you inherit your ethnicity from your family while your cultural proximity can be influenced by the place you dwell. So some Niharika Pandey, who is born and brought up in Assam, can be ethnically a Punjabi but culturally an Assamese because that’s where she has been all her life. The question however which I want to address here is a little complicated. So, how do you determine if someone is a misfit in a particular culture? In the political discourse, this probably is one heated debate today as we find multiple interest groups trying to impose what belongs to greater Indian culture and what not. Every other day we find someone being asked to go to Pakistan because according to certain ideological groups, their activities of do not reflect Indian culture. This post however deals with the topic a little differently, from a very personal perspective. So last month I was approached by someone from the institute to be a part of the annual North East Cultural fest of the college. I come from the North East Indian state of Assam and Bihu happens to be our state festival. 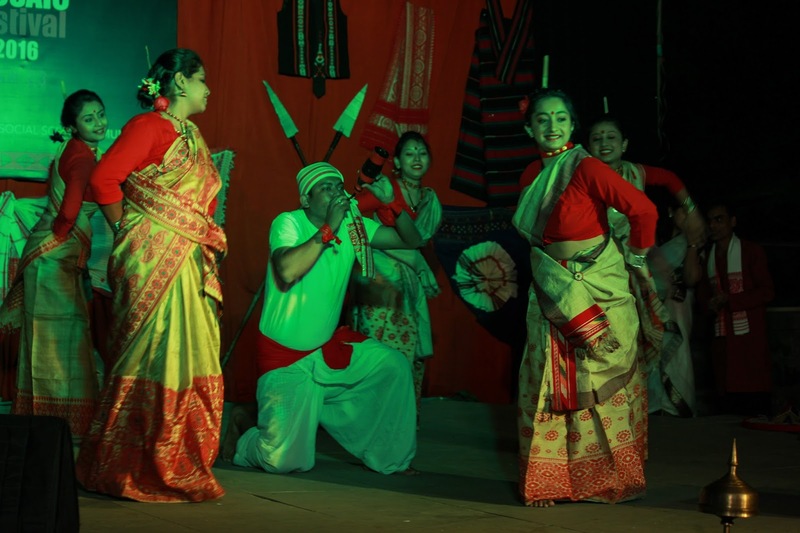 I was asked to be a part of Bihu dance troop that was suppose to perform. I however had to politely decline the offer for the simple reason that I can’t dance. As a matter of fact I can’t dance nor can I sing anything. Performing art is something I am not at all good with. So, is knowing Bihu dance a criterion for anyone to be Assamese. In fact, this has been in my mind for quite some time; compared to my other fellow region mates; I am horrible with art and music. Generally, North Easterns are assumed to be good with art and music. Any NE festival that I have been to, I have seen brilliant exquisite performances being put up by my friends while I had to sit back as mere audience. This puts in a deep existential crisis. Am I culturally a misfit within the North East crowd? It’s a little disappointing to find myself in a position where I know that I am not good at any of it. Hence I have this serious question in my mind as to how do I determine if I am actually a misfit in the entire cultural spectrum of the North East. Not just that, when it comes to literature, it’s a little unfortunate that I am not well aware of it. Thus barring the fact that I can speak Assamese and born to Assamese parents, I have nothing else to prove that I am an Assamese. Politically, probably that’s just more than enough, but in the greater intellectual as well cultural discourse probably I am a misfit. What are the consequences that led to this situation? What are the factors that contribute to the alienation of an individual from its cultural traits, if there exists any? I strongly believe creativity is something that you inherit by birth. You only polish your creative skills by learning. Also, you might be damn good at certain skill yet you can’t be creative enough. For example, I was put into an art school at an early age of six. I was trained in fine arts for eight years and eventually I graduated with a visharad degree. This degree however does not qualify me to be creative. It of course brushed up skills, but even today I can’t paint something of my own. I can just copy and recreate something that someone else has done. Hence being creative and being skilful are two entire different things. A similar feat followed when I was put into a guitar school. Give me a tune, I can play it, but I can’t compose a tune. Because of this lack of creativity, I gave up all forms of art which I used to practice and today here I write contemplating my existence. The stringent English education that was enforced upon me did away with the habit of reading Assamese literature and this was a huge mistake. One gets closer to his/her culture only when one keeps in touch with vernacular literature. The mistake is largely mine as despite having studied Assamese till tenth standard, I could not keep up with the practice of reading local literature. There was actually no point of writing this post. I am just venting out the frustration that inhibits inside me of not being able to determine how I ended up being a misfit within my own culture. I partly answered the question but there is one part which still remains largely unanswered. In society, we largely run by the stereotypes that a Punjabi will know how to Bhangra, an Assamese will know how to dance Bihu and a Delhite knows how to abuse. So partly, it’s the society that decided how much you fit into a culture, partly by your own actions and the rest you inherit.